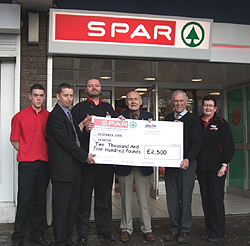 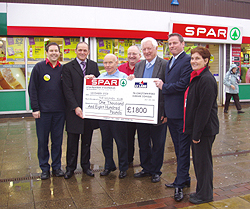 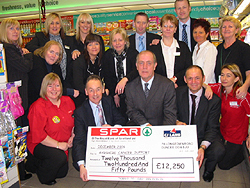 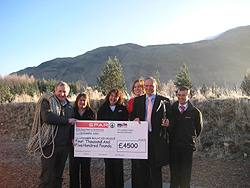 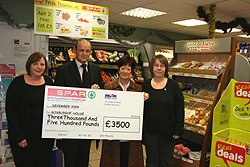 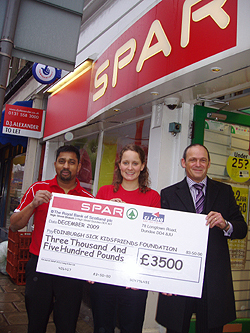 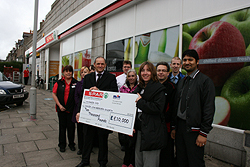 Christmas came early for Erskine for ex servicemen and women as they received an early present in the form of a cheque for £2,500 from local SPAR stores owned and operated by C J Lang and Son Limited. 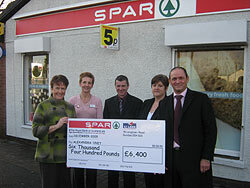 Christmas came early for Cancer Link Aberdeen North (CLAN) as they received an early present in the form of a cheque for £10,000 from local SPAR stores owned and operated by C J Lang and Son Limited. 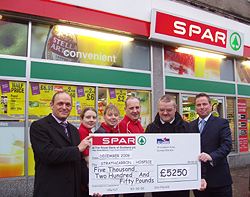 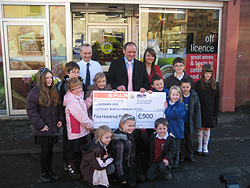 Christmas came early for Edinburgh Sick Children’s Hospital as they received an early present in the form of a cheque for £3500 from Local SPAR stores owned and operated by C J Lang and Son Limited.